Since 1951, the name Werth stands for the highest quality and precision in the field of dimensional metrology. 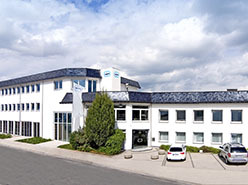 The company’s headquarters are located in Giessen, in a region with a long industrial tradition in fine mechanics and optics. 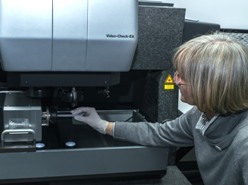 With over 10,000 measuring machines installed worldwide, in the aerospace, automotive, electronics, energy, extrusion, jewelry, tooling, medical, defense and plastics industries, Werth has become a leading measurement technology company. Due to numerous global innovations and in the area of precision mechanics, image processing and software, Werth Messtechnik GmbH is currently a leading company in coordinate measuring technology with optical and multisensor systems. 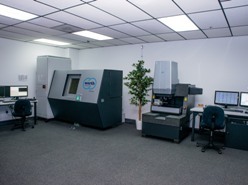 Since the introduction of the TomoScope®, the first X-ray computed tomography machine developed for coordinate metrology (with optional multisensor configuration) in 2005, Werth has also led the way to apply this powerful sensor technology. Innovative developments, excellent product quality, user satisfaction, and international orientation define the objectives of the company. 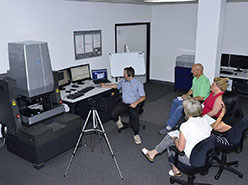 High quality and innovative technologies require the technical knowledge and expert support available from Werth. Years of experience in the area of coordinate measuring technology enables Werth to provide customer specific solutions and training for specific measurement tasks, which allows productive and efficient application of the coordinate measuring machine.